Here we go again! Years after most Americans forgot about the longest war this country ever fought, American soldiers are again being deployed to Afghanistan. For almost 16 years now, at the command of three presidents and a sadly forgettable succession of generals, they have gone round and round like so many motorists trapped on a rotary with no exit. This time their numbers are officially secret, although variously reported to be 3,500 or 4,000, with another 6,000-plus to follow, and unknown numbers after that. But who can trust such figures? After all, we just found out that the U.S. troops left behind in Afghanistan after Pres. Barack Obama tried to end the war there in 2014, repeatedly reported to number 8,400, actually have been “closer to 12,000” all this time. 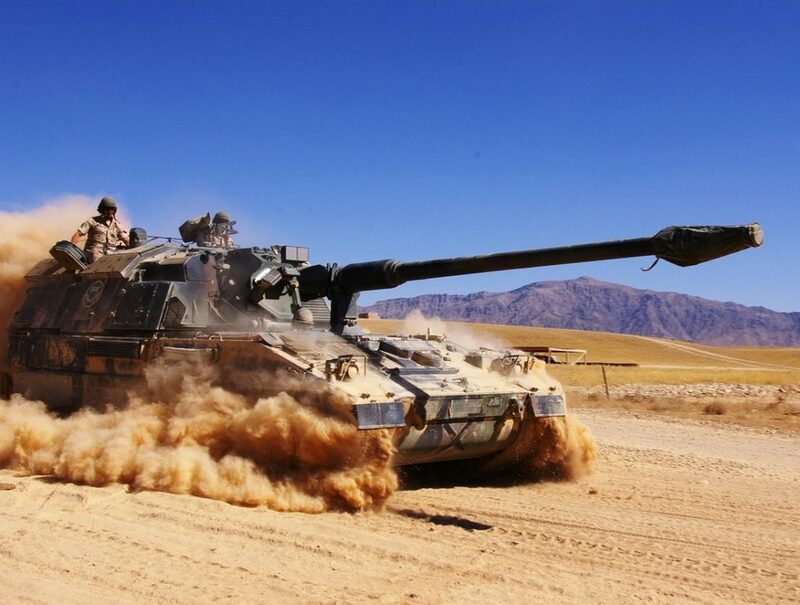 The conflict, we’re told, is at present a “stalemate.” We need more American troops to break it, in part by “training” the Afghan National Army so its soldiers can best their Taliban countrymen plus miscellaneous “terrorist” groups. In that way, the U.S. military — after only a few more years of “the foreseeable future” in the field — can claim victory. But is any of this necessary? Or smart? Or even true? She reminded me that the Taliban are not some invading army. That would be us. They are Afghan citizens, distinguished from their countrymen chiefly by their extreme religious conservatism, misogyny, and punitive approach to governance. Think of them as the Afghan equivalent of our own evangelical right-wing Republicans. You find some in almost every town. And the more you rile them up, the meaner they get and the more followers they gain. But in times of peace — which Afghanistan has not known for 40 years — many Taliban most likely would return to being farmers, shopkeepers, villagers, like their fathers before them, perhaps imposing local law and order but unlikely to seek control of Kabul and risk bringing the Americans down on them again. 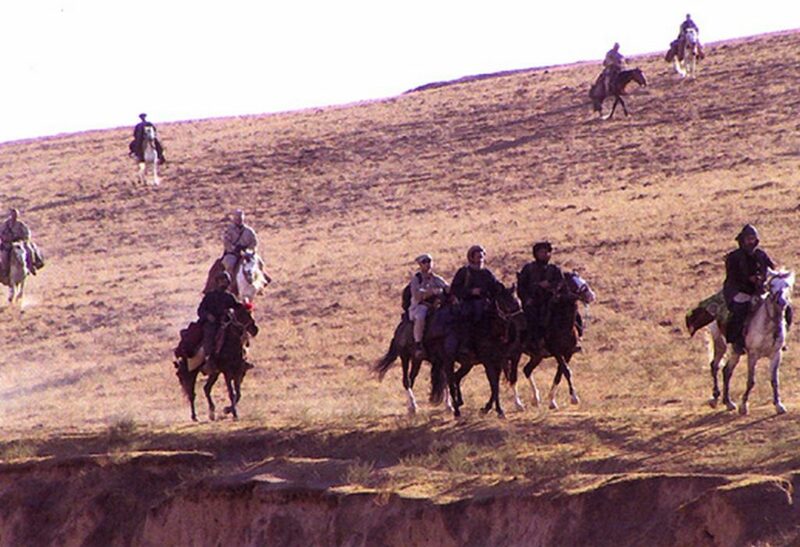 Few Afghans were Taliban sympathizers when the United States overthrew the Taliban regime in 2001. Now there are a great many more and they control significant parts of the country, threatening various provincial capitals. They claim to be willing to negotiate with the Afghan government — but only after all American forces have left the country. For the Trump administration, that’s not an option. Think what a negotiated peace would mean for our private arms manufacturers for whom America’s endless wars across the Greater Middle East are a bonanza of guaranteed sales. Instead, the president has put “his” generals in the Oval Office to do what generals do. Those in charge now — James Mattis, H.R. McMaster and John Kelly — are all veterans of the Afghan or Iraq wars and consequently subject to what Freud labeled the “repetition compulsion … the blind impulse to repeat earlier experiences and situations,” often in the expectation that things will turn out differently. But I was in Afghanistan too and, strangely enough, I remember a lot. I first went to Kabul in 2002 to work with women and girls just emerging from five long years of confinement in their homes. I found a shambles, a city in ruins. Whole districts had been reduced to rubble by civil war among factions of the mujahidin, the Afghan fundamentalists who, with U.S., Saudi, and Pakistani support, had driven the Red Army out of their country in 1989, only to be overwhelmed by the onslaught of the Taliban in the 1990s. By 2001, when Americans made plans to bomb Kabul to unseat that Taliban regime, Secretary of Defense Donald Rumsfeld complained that there were “no good targets left to bomb.” When we finished bombing anyway, thousands of Kabulis had been killed, thousands had fled, and thousands more remained, living in makeshift shelters among toppled houses or in the blue U.N. tents that came to encircle much of the fallen city. I lodged with an aging American woman who had lived in Afghanistan since the 1960s when her husband, a businessman, took part in America’s Cold War competition with the Soviet Union for the allegiance of Afghans. The first morning, when I awoke chilled to the bone, she thrust some filthy paper bills into my hand, wrapped a woolen scarf around my head, and sent me out into the snow in search of bread. I turned a corner into a field of tumbled walls and there, on what had once been another corner, heat poured from an ancient brick bake-oven. I joined a line of men and waited my turn until long, flat loaves, hot from that oven, were thrust into my arms. Those hard-eyed Afghan men watched as I handed over my shabby bills and wrapped the loaves in the tail of my scarf. Who was I? What was I doing here? By week’s end, they would nod a greeting and make a space in the queue for me. 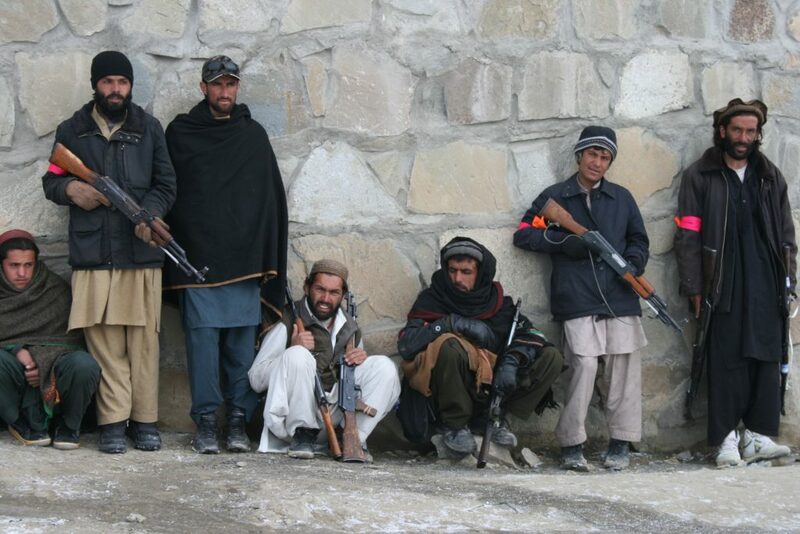 The Afghans I met were like that then. Wary and guarded but curiously open and expectant. The Taliban was finished. Done. Gone. Some of its members, in plain sight, had joined the new American-installed government, but at least they had changed the color of their turbans and, for the time being, their tune. Poor and suffering as most Afghans were, they were prepared to jump at a new beginning, and they were open to anyone who seemed to have come to help. As the American presence increased, Afghan optimism only expanded. Local leaders attended “informational” meetings called by American officials and never even complained about the aggressive military dogs — unclean by Islamic standards — that searched the premises and sometimes sniffed the Afghan men themselves. Near the end of the second year of such meetings, an Afghan rose — I was there — to ask two embarrassing questions: “Where is the money you promised us? Where is the development?” The American ambassador had a ready answer. The promised funds were being used at first to establish American offices with heating, air conditioning, the Internet, the works — and to pay American experts who would eventually provide the promised development and, in the process, inculcate respect for human rights and, oh yes, women. Let us not forget women. In 2005, First Lady Laura Bush flew into the capital to dedicate a refurbished American dormitory for women at Kabul University. After all, the Bush administration had “liberated” Afghan women. Military security again sent in the dogs, leaving tearful students to burn their defiled clothing afterward. By 2011, however, the State Department had dropped women’s rights from its set of designated objectives for the country and somehow human rights disappeared without notice, too. Still, a succession of American ambassadors advised Afghan leaders to be patient. And so they were for what seems, in retrospect, like a very long time. Until, eventually, they were not. Between then and 2015, I returned to Afghanistan almost every year to lend a hand to organizations of Afghan women and girls. I haven’t been back in two years, though — not since I recognized that, as an American, I am now a hazard to my Afghan colleagues and their families. The accretion of witless insults, like those dogs, or the pork ribs in the MREs that the U.S. military hands out to Afghan soldiers, or endless fatal U.S. air strikes on villages, hospitals, wedding parties and Afghan National Security Forces have all added up over the years, making Americans unwelcome and their Afghan friends targets. You undoubtedly noticed some of the headlines at the time, but the Afghanistan story has proven so long, complicated, and repetitive that, at this point, it’s hard to recall the details or, for that matter, the cast of characters, or even why in the world we’re still there doing the same things again and again and again. The short version of that long history might read like this. The United States bombed Afghanistan in 2001 without giving the Taliban government either time to surrender or to negotiate the surrender of their country’s most problematic foreign guest, the Saudi Osama Bin Laden. The Bush administration then restored to power the ultra-conservative Islamic mujahidin warlords first engaged by the CIA under William “Bill” Casey, its devout Catholic director, to fight the “godless communists” of the Soviet Union in the long proxy war of the 1980s. Afghans polled in 2001 wanted those warlords — war criminals all — banned forever from public life. Washington, however, established in Kabul a government of sorts, threw vast sums of cash at its selected leaders heading an administrative state that did not yet exist and then, for years to come, alternately ignored or denounced the resulting corruption it had unthinkingly built into its new Afghan “democracy.” Such was the “liberation” of the country. The story of the last 15 years there is largely a sum of just such contradictory and self-defeating acts. During that time, American officials regularly humiliated Hamid Karzai, their handpicked president. They set up a centralized government in Kabul and then, through Provincial Reconstruction Teams, controlled by the U.S. military, they also supported a passel of provincial warlords hostile to that government. They sent their military to invade Iraq, while the Taliban, who were never allowed to surrender, regrouped and went back to war. In 2007, they undermined Afghan efforts to negotiate peace with the Taliban, opting instead to “surge” more American troops into the country, doubling their numbers in 2008, and then to continue to spend a fortune in taxpayer dollars — at least $65 billion of them — training hundreds of thousands of Afghan soldiers and police to do the fighting their elected government had wanted to stop. In 2006 — ancient history now — I published a book, Kabul in Winter, partly about the scams I’d seen perpetrated by or on the U.S. military, the select crew of private American contractors flooding the country, and the cloistered experts of the U.S. Agency for International Development. Not long after, a prominent filmmaker invited an Afghan woman who was a physician and a member of that country’s parliament, plus Anand Gopal and me, to travel to Washington. We were to explain our experiences in Afghanistan to influential members of various Washington think tanks who might have an effect on foreign policymaking. We came prepared to talk, but those Washington experts asked us no questions. Instead, they spent our time together telling us what to think about the country we had just left. I remember, in particular, four young Americans, all newly minted Ivy League “experts” we met at a leading “progressive” think tank. They described in great detail their 20-year plan for the economic and political development of Afghanistan, a country, they said, they all hoped to visit one day. The Afghan doctor finally laughed out loud, but she was not amused. “You know nothing about my country,” she said, “but you plan its future into the next generation. This is your job?” It proved to be the job as well of two administrations. And now, it seems, a third. The election of 2014, though riddled with “irregularities,” brought the first peaceful transfer of presidential power in Afghanistan, from Hamid Karzai to Ashraf Ghani. With it came renewed hope that the wild dream of an Afghan-style peaceful democracy might work after all. It was a longing barely diminished by Ghani’s choice for vice president — Abdul Rashid Dostum, an Uzbek warlord notorious for war crimes of surpassing brutality. 2014 was also the year Obama chose to end the war in Afghanistan once and for all. Only he didn’t. Instead he left behind those under-counted thousands of American soldiers now being joined by thousands more. For what purpose? American victory certainly hasn’t materialized, but the greatest military the world has ever known (as it’s regularly referred to here) cannot admit defeat. Nor can the failed state of Afghanistan acknowledge that it has failed to become anything other than a failure. Afghan-American Ghani, who once co-wrote a scholarly book tellingly entitled Fixing Failed States, surrendered his U.S. citizenship to become Afghan president, but he seems unable to fix the country of his birth. In May 2017, Ghani welcomed back to Kabul and into public life, after an absence of 20 years, the notorious Gulbuddin Hekmatyar, founder of the party Hezb-i-Islami and most favored among the mujahidin during the 1980s by Pakistan’s intelligence agency, the ISI, and the CIA, and most hated by Kabuli civilians for having randomly shelled the city throughout the civil war of the 1990s. In Kabul in 2002, I found it rare to meet a person who had not lost a house or a relative or a whole family to the rockets of “the Butcher of Kabul.” Now, here he is again, his war crimes forgiven by a new “Americanized” president, and an Afghan culture of impunity reconfirmed. The American effort is now to be exclusively military. There will be no limits on troop numbers or time spent there, nor any disclosure of plans to the enemy or the American public. There is to be no more talk of democracy or women’s rights or human rights or peace negotiations. Announcing his new militarized “strategy” in a long, vague, typically self-congratulatory speech, Trump lacked even the courtesy to mention the elected leader of Afghanistan by name. Instead, he referred only to assurances given to him by Afghanistan’s “prime minister” — an official who, as it happens, does not exist in the government Washington set up in Kabul so long ago. Trump often makes such gaffes, but he read this particular speech from a teleprompter and so it was surely written or at least vetted by the very military which now is to dictate the future of Afghanistan and U.S. involvement there — and yet, a decade and a half later, seems to know no more about the country and its actual inhabitants than it ever did. “I studied Afghanistan in great detail and from every conceivable angle,” Trump claimed, and yet he staked his case for escalating the war once again on a shopworn, cowardly ploy. We must send more troops to honor the sacrifice of the troops we sent before; we must send more troops because so many of those we sent before got killed or damaged beyond repair. We can’t allow Afghanistan to become a safe haven for terrorists, Trump insisted, echoing Obama and Bush before him. He seems unaware that the terrorists who acted on 9/11 had found safe haven in San Diego and Oakland, California, Phoenix and Mesa, Arizona, Fort Lee and Wayne, New Jersey, Hollywood and Daytona Beach, Florida and Newton, Massachusetts, among other American towns and cities. On 9/11, those 19 terrorists possessed 63 valid U.S. driver’s licenses issued by many different states. It was in the United States that all 19 of those terrorists found safety. It was here, not in Afghanistan, that the prospective pilots for those hijacked planes learned to fly. Now, as more troops depart for Afghanistan, I can’t help but think of what I learned when, after so many years of living and working among Afghan civilians, I finally embedded with American troops in 2010. My first lesson was this — there is no such thing in the American military as a negative after-action report. Military plans are always brilliant. Strikes always occur as expected. Our soldiers are, it goes without saying, heroic. And goals are naturally accomplished without fail. No wonder the policymakers back in Washington remain convinced that we have the greatest military the world has ever seen and that someday we will indeed succeed in Afghanistan, although we haven’t actually won a war of any significance since 1945. My second lesson — even officers who routinely file such positive reports may be blindsided by the bogus reports of others. Take, for example, a colonel I met in eastern Afghanistan in 2010. He was newly returned to a forward base he had commanded only a few years earlier. Overwhelmed with surprise and grief, he told me he had been “unprepared” — which is to say uninformed by his superiors — to meet “conditions” so much worse than they had been before. He was dismayed to lose so many men in so short a time, especially when American media attention was focused on the other side of the country where a full-scale battle in Helmand province was projected to be decisive, but somehow seemed to be repeatedly postponed. Judging by my own experience on forward bases, I believe we can hazard a guess or two about the future of the American war in Afghanistan as the latest troops arrive. First, it will be little different from the awful past. Second, it will produce a surfeit of Afghan civilian casualties and official American self-congratulation. And finally, a number of our soldiers will return in bad shape, or not at all. And then, of course, there are the dogs again. Tthis time, a black one — unclean, as always, by Islamic standards — in silhouette with a Taliban flag bearing an Islamic text from the Quran on its side. That was what the Americans printed on a leaflet dropped from planes over Parwan province, home of America’s enormous Bagram air base. That was supposed to win Afghan hearts and minds, to use an indelible phrase from our war in Vietnam. Ann Jones is the author of Kabul in Winter: Life without Peace in Afghanistan and most recently of They Were Soldiers: How the Wounded Return From America’s Wars — the Untold Story, a Dispatch Books original. This story originally appeared at TomDispatch.